These are exciting times: Aller media acquires Narva. Narva will become a part of Ahead Group, a Nordic alliance of agencies in communication and marketing. “As a part of Ahead Group and Aller media, we will be able to continue developing Narva and our offering at an even faster pace,” says Daniel Bergsten, managing partner at Narva. “We look forward to getting to know our colleagues within Aller media in order to create even better solutions for our clients. Narva will gain great advantages from Ahead Group’s strong Nordic presence,” says Johan Molander, managing partner at Narva. Ahead Group is the largest agency network in the Nordics. With the acquisition of Narva, the Group gathers over 560 employees over eleven agencies with an accumulated revenue of SEK 1 billion in 2017. All agencies in Ahead Group are leaders in their discipline and offer services in the fields of content marketing, CRM, design, digital marketing, events, advertising and performance. “The acquisition of Narva is important to the development of Ahead Group. It responds to customer demand for broad solutions and strategic counseling in the new media landscape. Narva is the first company with a focus on PR. 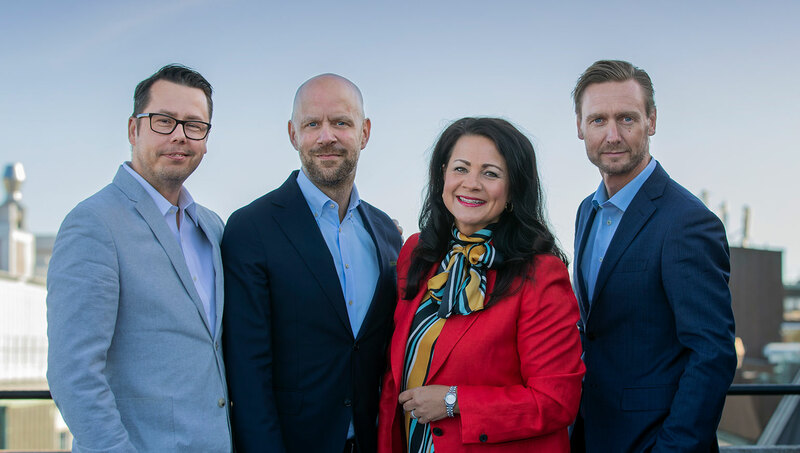 We welcome Narva to our strong network and look forward to bringing our keen offering to both the Swedish and the Nordic market,” says Anders Rask, Head of Agency Network and Strategy at Aller media Sweden. “The media industry is undergoing a great transformation. Aller media is making investments to strengthen its customer offering and portfolio. Narva’s high level of strategic expertise in communication serves as an excellent complement to the expertise in our existing subsidiaries Make Your Mark and OTW. We feel there’s very good potential for valuable synergies between the subsidiaries,” says Bodil Ericsson Torp, CEO of Aller media Sweden. Narva has about 60 employees in the Stockholm and Gothenburg offices and had a turnover of MSEK 91 in 2017. Clients include Barncancerfonden, Boliden, Coop, Husqvarna, Preem, Röda Korset and SAS. Narva was founded by Daniel Bergsten and Johan Molander in 2000.